The average cost of memory care in Hancock County is $4,200 per month. This is lower than the national median of $4,650. Caring.com has helped thousands of families find high-quality senior care. To speak with one of our Family Advisors about memory care options and costs in Hancock County, call (855) 863-8283. Of the more than 75,000 people who call Hancock County, Ohio, home, almost 17 percent are seniors aged 65 years or older. This is the demographic most at risk for developing memory-related diseases such as dementia or Alzheimer's, and it's estimated that around 220,000 people in Ohio were already suffering from Alzheimer's in 2018. 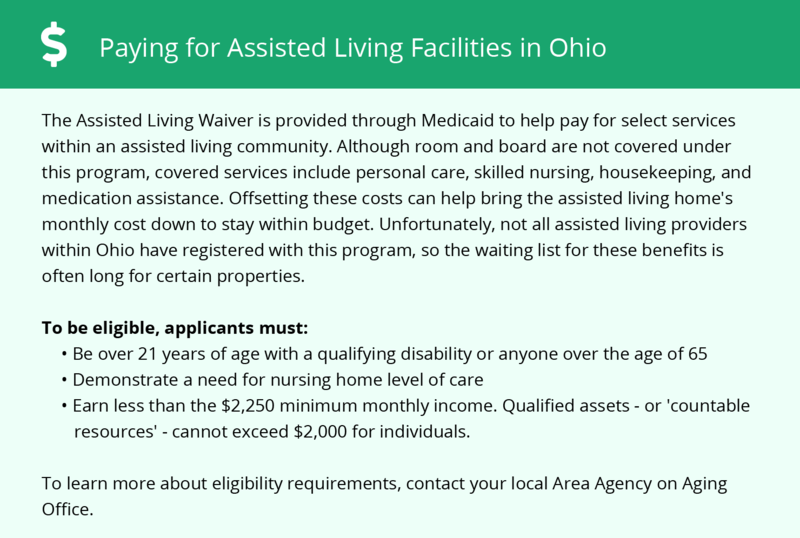 In Ohio, the Ohio Department of Health is the entity in charge of licensing and regulating memory care facilities, which are considered Residential Care Facilities (RCFs). Greene County has two memory care facilities in Findlay that provide care to Alzheimer's and dementia patients. Hancock county has no/few facilities from which to choose in the event of a medical emergency or illness, with the nearest major hospital specializing in brain health and dementia care located in Columbus. Overall, the cost of living in Hancock County is 7 percent lower than the U.S. average, but it is slightly higher (2 percent) than the Ohio average. Housing and utilities are 30 percent and 10 percent lower, respectively, than the U.S. average, but healthcare costs run about 2 percent higher than the rest of the nation and 7 percent higher than the state average. This could present a concern for seniors paying for memory care. Hancock County residents get to enjoy all four seasons, with winter lows in the high teens and summer highs in the mid 80s. However, the area also sees a decent amount of precipitation, 36 inches of rain and 22 inches of snow per year, and only 177 sunny days compared to the national mean of 205. This could be a problem for seniors who enjoy a sunny environment. While Social Security retirement income is exempt from taxes in Ohio, other types of income such as IRAs and 401(k)s are taxed at normal rates, which could mean less money in the budget for seniors. However, there are some exemptions available that may help cut down tax liabilities. Memory Care costs in Hancock County start around $4,200 per month on average, while the nationwide average cost of memory care is $4,781 per month. It’s important to note that memory care rates in Hancock County and the surrounding suburbs can vary widely based on factors such as location, the level of care needed, apartment size and the types of amenities offered at each community. Hancock County and the surrounding area are home to numerous government agencies and non-profit organizations offering help for seniors searching for or currently residing in an assisted living community. These organizations can also provide assistance in a number of other eldercare services such as geriatric care management, elder law advice, estate planning, finding home care and health and wellness programs. To see a list of free memory care resources in Hancock County, please visit our Assisted Living in Ohio page. 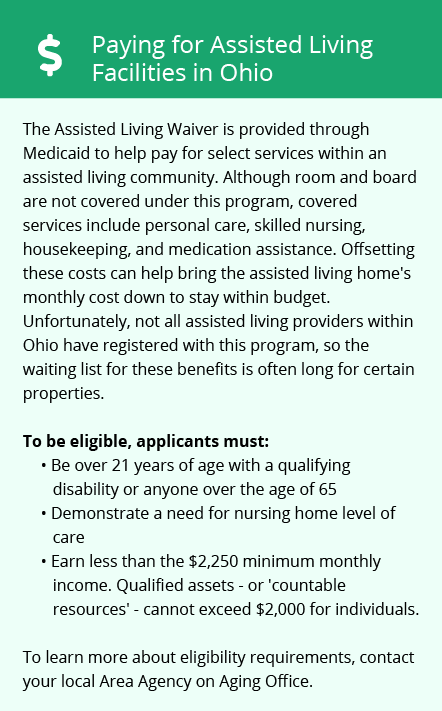 Hancock County-area assisted living communities must adhere to the comprehensive set of state laws and regulations that all assisted living communities in Ohio are required to follow. Visit our Memory Care in Ohio page for more information about these laws.